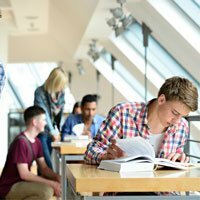 What are university entry requirements? - Which? So you’ve found a degree course that ticks all the boxes and you’re ready to put it down as one of your five Ucas choices. But what about its entry requirements? Why are entry requirements important? What could an entry requirement be? Can I apply to university without A-levels? What do universities look for, other than grades? Entry requirements for university are formal criteria you must meet in order to be considered for a degree course you're applying to. These criteria are set by the university offering that course, to determine whether you're capable of meeting its objectives. This is based on relevant or similar skills, knowledge and ability you’ve demonstrated in previous qualifications, exams and assessments – see below the full list of entry requirements you might need to meet, for a given course. University entry requirements, also known as Ucas entry requirements, are an important part of the university application process. A course's entry requirements should be your first port of call when researching universities and courses. There's no point getting too excited about one if it's unlikely you'll be able to meet these in the first place. With thousands of courses to choose from, you can use entry requirements to quickly prioritise possible Ucas choices to research in more detail – every little helps! While you can demonstrate your individual passion, experience, interests and perspective in your personal statement, entry requirements are an objective method of assessment to compare candidates against one another. Interviews and auditions are more subjective and are an opportunity for admissions tutors to meet you in person and distinguish you as more than just a name and applicant number on a piece of paper. Universities will primarily look at your post-16 qualifications, as these will be the most recent evidence of your academic performance before starting university. It's not just grades that matter. Depending on the course and university, there may be qualification preferences (e.g. A-levels vs BTECs), and subject requirements (perhaps with minimum grades in these) to consider. Some unis expect these to have been achieved in one sitting. Commonly presented as: three grades, from A*-E. There could be minimum grades expected in one or two specific subjects. Popularity: 1.9% of UK students accepted on to a higher education course in 2016 through Ucas applied with SQA awards (note, this figure will be higher overall given the number of direct applications to universities and colleges in Scotland). Most Ucas requirements revolve around the four or five Higher results you achieve in S5; however, competitive courses may require you to carry over one or more subjects to Advanced Higher level, in S6. If you don't achieve the Higher results need for a university course you want to apply to, you can re-take these in S6; however, the entry requirement goes up a grade. For example, if you don’t achieve the necessary AABB requirement for a course by the end of S5, this would increase to AAAB or AABBB in S6. What do your Higher and Advanced Higher results mean? Read our guide to Scottish results day. As a point of comparison, a Distinction in a BTEC National is equivalent to an A* at A-level. Note, some universities may ask for additional A-level grades (in a specific subject) in combination with BTECs. Because BTECs are more vocational, applying with these can be beneficial in terms of the practical skills you gain as part of your course. However, if you’re applying to a more academic, theory-based course, a university may place a greater emphasis on key skills like essay writing. Therefore, it may state in its requirements a preference for applicants to hold A-levels (or the International Baccalaureate) in addition to BTECs. BTECs in depth: what to take and top tips for uni applications. The following information refers to the revised Welsh Baccalaureate, first introduced from September 2015. Commonly presented as: according to the WJEC/CBAC examination board, most Welsh applicants will apply to university with the (Advanced) Welsh Baccalaureate, which comprises: the Skills Challenge Certificate (equal to an A-level), at least two level three qualifications (e.g. A-level or BTEC), and GCSE English/Welsh Language and GCSE Maths Numeracy/Maths. Alternatively, Welsh students can apply with three A-levels. So for the same course, an offer could be either AAB from three A-levels, or AB from two A-levels plus an A in the Advanced Skills Challenge Certificate. Example: 112 Ucas points (including grades BB) with the Advanced Skills Challenge Certificate considered as a third subject – Sports Management BA, Cardiff Metropolitan University. Commonly presented as: a total number of IB Diploma points, from 0 to 45. Some courses ask for a minimum number of points in specific areas. In order to obtain the IB Diploma, you must achieve at least 24 of a possible 45 points across six subjects (three at standard level and three at higher level). Each of these are marked out of seven points, with an additional three points available for the compulsory elements of the IB. The IB Diploma is an internationally recognised qualification, which might be handy if you're considering studying abroad. Applying to uni with the International Baccalaureate? Read our guide to the IB Diploma. Yes, there are alternative routes to university if you don't hold traditional A-levels eg you want to return to education after taking time away. Two of the most common paths are Access to Higher Education Diplomas (often referred to as 'Access courses') and Foundation Years. Access to Higher Education Diplomas are available for a wide variety of subjects, with flexible learning options to juggle around other commitments (eg full-time or part-time work, children etc). They're usually offered by local colleges. You can check what a university course's Access requirements are on our course profiles – simply search for a course, click on a profile and select from the entry requirements drop-down to see if they accept this qualification. Meanwhile, Foundation Years are offered by universities to help students fill in any gaps in their knowledge, so they can progress on to a full degree course. They might be a good option if you're not sure you want to commit to a particular subject for three years; they're also a worthwhile option if you're stepping back into an education environment and want a taste of university-style learning (and the life that comes with it). What do universities look for other than grades? In order to measure scores and grades across qualifications, admissions officers use the Ucas tariff system to translate these into Ucas points. Some universities refer to entry requirements in this way instead of grades. The higher the points, the higher the grade achieved in that qualification. Points can be gained through many different types of qualifications. Most universities will look for an A*-C at GCSE (4/5 under the new grading system) in English, maths and possibly science. Specific courses may also ask for minimum grades in certain relevant GCSE subjects, while competitive courses will look for strong GCSE results as an indicator of your academic ability. Admissions tutors may well be paying more attention to GCSE results since recent changes to A-levels. For more selective universities and competitive courses, you might be asked to sit a special exam to help admissions staff find the strongest candidates. If you're applying to Oxbridge or want to study a subject like law or medicine, this will likely apply to you. The score you obtain will be used when considering your application. These exams typically test your aptitude and other natural skills that would make you a suitable student for that university or course. View the full list of different admissions tests: see what you need to take, plus more about what they involve. A few universities - including Oxford, Cambridge and Imperial College London - interview most or all of their applicants. Elsewhere, some subjects are more likely than others to interview applicants. This can vary from one university to another. Where a course receives a high number of eligible applicants, admissions tutors may call you in for an interview. This is so they can meet you and fill in the picture they've painted of you from your personal statement, to help them make their decision. If you're applying to a performing arts course like drama or music, you'll almost certainly need to audition once the university has considered your application. The university will provide some guidance on your audition piece and key things you should demonstrate on the day. The rest is up to you! Learn more about university auditions, including tips to nail yours. If you're applying to a creative arts course, like art or photography, you'll probably need to compile a portfolio of your work, either from work you've completed in school or in your free time. The university will tell you whether you need to simply submit this online, deliver it in person or even present this to a tutor. If you do go to the university, there may also be an interview element, either one-on-one or in a group. You can find university courses with lower entry requirements with our course search. Simply search for a subject or course, and select a lower range of A-level/SQA Highers/Ucas points before clicking 'Search'; you'll then be presented with courses that meet those requirements. This can narrow down your search quickly and save valuable time. If your predicted grades just miss the entry grades stated here, it might still be worth getting in touch with the university to find out if they would consider you. Depending on how many applications they receive, you might be in luck (especially if your personal statement impresses them, for instance). Note, a university can change their entry requirements for a course at any time (though they don't often change these, nor do they change these drastically when they do). If you're unsure of what a university's entry requirements are, check again here or on the university's official website. Dig deeper into a course's entry requirements: search for a course and read the course profile to see what qualifications, grades and extra requirements it asks for. You can compare this against the A-level subjects and grades or Ucas points achieved by previous cohorts of students on that course – will a university still accept you if you fall short of what it advertises? Plus, our percentage of applicants receiving offers stats can give you an idea of how competitive a course is. Got a degree subject in mind? See what A-levels you need: pick the subject you want to study at university and find out what A-level subjects you absolutely must have, plus those that can’t hurt your chances. Get degree ideas fast, match your A-level subjects to possibilities: use our A-level Explorer to see all your degree subject possibilities, based on students who took the same A-level subjects as you, and what they went on to study. University offers in? Everything you need to know to make the right first and insurance choices for you.